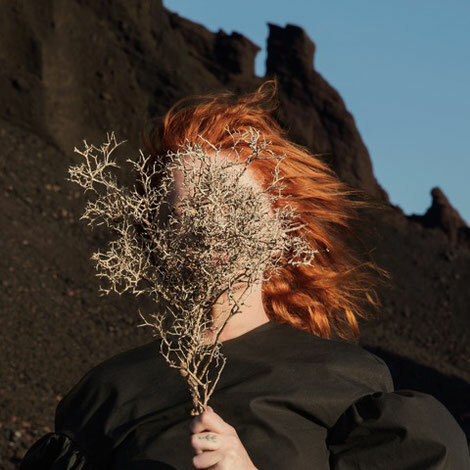 Goldfrapp will release their seventh studio album ‘Silver Eye’ on 31 March through Mute. The band, consisting of Alison Goldfrapp and Will Gregory, also reveal their new single ‘Anymore’. Featuring strident strands of underground electronica, sensual melody and metal machine pop at its core, the new track is an assertive return from the duo. Alison headed to Fuerteventura, a volcanic island in the Canary Islands, to produce the visuals for the record, all of which were devised and shot by her. The black sands, stark cliffs, rolling dunes and blazing blue skies, captured in her own photographs, are a total complement to the elemental drama of the music on the album. Working with twins who she spotted on the street in London, Alison created and shot a set of visuals that are as arresting as they are idiosyncratic. Apparently in demand more and more as a photographer, Alison has been commissioned for other projects in the past including shooting Laura Mvula live at Somerset House. Goldfrapp will be performing a show at London’s Roundhouse on 27 March where they will showcase new music from ‘Silver Eye’. Tickets go on sale today after a special fan pre-sale on Wednesday past.